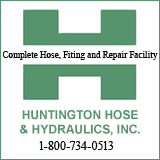 HUNTINGTON, WV (HNN) – Honeywell has completed “core drillings” at the Dietz Hollow Landfill site, according to Mayor Kim Wolfe. Currently, the city pays about $200,000 a year for the treatment of landfill leachate, which is essentially storm water that moves through or drains from a landfill. Due to polluting liquids seeping out of the site, the city agreed to treat runoff since it cannot afford the estimated $5 million dollars to fully close off the 30 acre landfill. The Mayor said that the administration is prepared to “divert the runoff,” which could reduce the leachate costs. West Virginia’s Department of Environmental Protection in 1994 forced the city to close the landfill since it does not have an underlying liner. While a vegetative cover is in place, the DEP requires layers of sand, clay, drainage material and top soil to prevent the contamination in the landfill from flowing beyond its perimeter. A part of the agreement with the DEP includes monitoring drainage/leakage from the landfill. A private developer has expressed interest in acquiring that area subject to more thorough data on the types of contaminants are at the landfill. However, in addition to the site’s pre-1994 use as a garbage dump, industries dumped waste at the location. HNN has spoken with multiple former workers who indicate they themselves buried “nasty waste” at the landfill (and other locations) from INCO, BASF and other industries. One or more offered to point out the exact locations to test. None of them, including off-record government officials believe that the site is suitable for development.. Some of those workers toiled at the former Huntington Pilot (uranium processing and recycling) Plant which was dismantled and buried in Piketon, Ohio. Placed in a classified area and without an inner cap, the location continues to be checked for contamination seepage. Honeywell has uranium conversion plant problems of its own. On March 11, 2011, they agreed to pay a $12 million dollar fine for improperly storing regulated materials at its Metropolis, Illinois, facility , without the proper permits. The illegal waste storage related in part to a calcium fluoride pond. See: http://www.wise-uranium.org/epusa.html#METROP . Huntington City Finance Director Deron Runyon explained that if the clean runoff could be diverted then the city would not have to budget annually as much funds for treatment costs. Councilman Nate Randolph asked how the landfill could be closed sooner. “We’re losing money” by gathering only “pennies per hundred dollar bill” to place in a closure fund. “Could we do a bond to close the landfill,” Randolph asked? No one on the committee or in the administration had an estimate for what debt service would be.A conference with both the city attorney and bond counsel would be necessary. However, such a decision would likely raise rates to customers to pay off the bonds. Instead of a bond or residents paying for clean up, HNN suggests that the federal government which operated the atomic plant on the INCO site pay for clean up and sewer restoration.